As seen in the pictures below, the pray wheel pagoda project has already started. 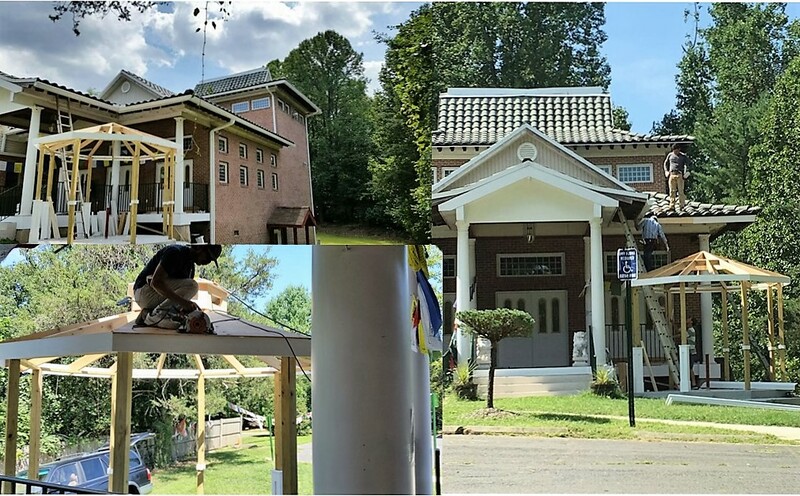 The total expense of this project is $7,950.00 US to cover the following main items: 1) two-level 16ft x 16ft concrete foundation with metal post; 2) wood and PVC materials; 3) roof; 4) rolls of mantras; and, 5) labor. 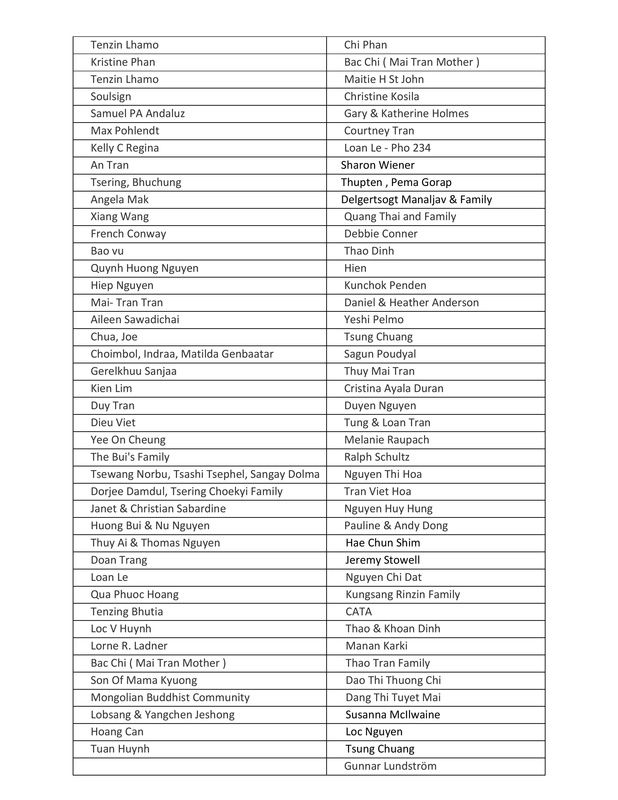 While we are trying hard to work around and carefully use our building operation savings, we sincerely ask for your help in many ways you can at http://drikungdharmasurya.org/donation/ in order to complete these critically needed task items. No donation is too small nor too large. All donations are 100% tax deductible under 501(c)(3) IRS Code. 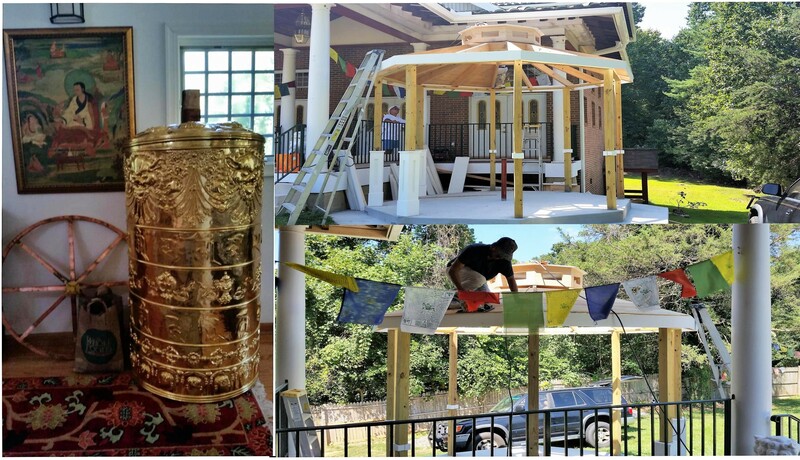 This special golden-colored metal prayer wheel of 5ft tall by 3ft diameter will contain billions of mantras of deities and Dharma protectors to bring blessings to the surrounding environment in which it will be built, to those who build it, and to those who visit and venerate it. Just touching and spinning the prayer wheel is a particular blessing for those who are sick or experiencing obstacles, and brings great purification of negative karma and obscurations. With tremendous generous support from many brothers, sisters and friends, our prayer wheel pagoda funding line has exceeded of our goal. Please accept our vast ocean of thanks for your support and donations, from large to small, that have been generously offered to DDSC. We wish to thank you very much for your faithful and unconditional support to contribute towards the fulfillment of the enriching mission DDSC. Whether you have given monetary gifts, contribution of services, or through rejoicing and training your mind – it has taken all kinds of thread to make a complete quilt, and you are the ones who have helped make that possible!